1) How do you reconcile the existence of a blood sample from a Congolese man in 1959 that produced a positive HIV-antibody test result (http://www.cnn.com/HEALTH/9802/03/earliest.aids/) using the same test patented in 1984 and used to this very day, given that the Virus-Cancer program you say was responsible for the AIDS virus was conducted from 1962-1978? 2) There is strong evidence to suggest that Robert Gallo was unable to isolate HIV at all when he made his announcement on April 23, 1984 that he had found the ‘probable cause of AIDS’. Even in his scientific paper published nearly a week later, he claimed he could only find HIV-antibody in 44 out of 93 AIDS patients (let alone the actual HIV which was nearly indetectable in any AIDS patients until the use of PCR). He was originally found guilty by the National Institutes of Health in 1992 on several cases of scientific misconduct (http://query.nytimes.com/gst/fullpage.html?sec=health&res=9F0CEFDA103DF932A05751C1A964958260). It turned out that the pictures he first published of the HIV virus were the pictures sent to him by Luc Montagnier along with the HIV virus in 1983. Strong evidence suggests that Gallo hadn’t found the virus at all when he made his announcement, but had misappropriated it from Montagnier. So I was wondering how you would explain his ability and the government’s ability to either create HIV or bio-engineer it to make it lethal in light of Gallo, being one of the leading scientists in the Virus-Cancer program and early leading HIV/AIDS figure working out of one of the best labs in the world, seemingly unable to even isolate HIV in 1984, 3 years into the AIDS epidemic? I am willing to provide you with any information I have supporting these claims and would very much like to further delve into and debate this topic with you to get to the bottom of the true story of HIV/AIDS that has certainly been covered up to varying degrees by the establishment. 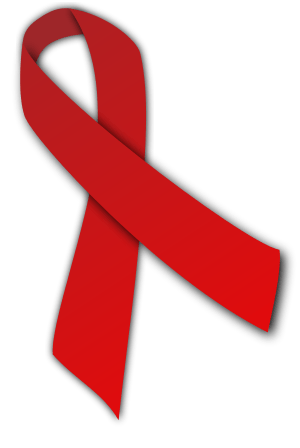 For more on the AIDS scam, see my articles here. Libertarians challenge one of their own, Ayn Rand, on intellectual property in the U.S. In this interview by Lew Rockwell, libertarian and intellectual property lawyer Stephan Kinsella takes exception with Ayn Rand’s stance on intellectual property. Note that it says: “to promote the Progress of Science and useful Arts,” and not to promote bottom line of patent holders, many of which are corporations these days, unlike in 1787 when the Founding Fathers wrote the Constitution. The significance of that, to me, is that individuals are more likely to patent something out of their interest in profiting from their own creations, as opposed to those corporations that file new patents or buy existing ones to stymie progress. Kinsella points out that Rand mistakenly believed that the person who first files for a patent gets it, whereas the U.S. is the only country that grants the patent to the first person to invent what is filed for. However, that is only true in theory, as the 1984 patent for the fraudulent “HIV test” shows, which was granted to Robert Gallo of the National Institutes of Health, instead of the first test developer and patent filer, 2008 Nobel Prize winner Luc Montagnier, as documented in the 2003 book, Science Fictions. If you have enough sway with the Patent and Trademark Office, you’ll get your patent regardless of who the first inventor was.